I'd like to introduce Mark Edward Hall, a wonderful author of fast-paced thrillers and beautifully haunting horror stories. I first met (albeit online) Mark when we shared a TOC in a horror anthology (Masters of Horror) back in 2010. 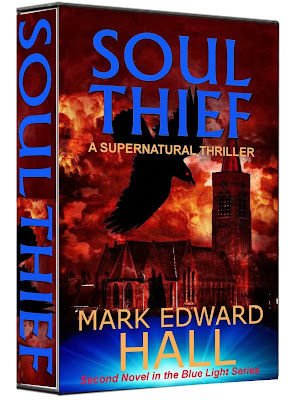 Since then, we have remained online friends and I'm pleased to announce he has a new novel out called Soul Thief, which is the follow up to his fantastic novel Apocalypse Island. Anyway, without further ado here is the lowdown on the enigma that is Mark Edward Hall. Mark Edward Hall has worked at a variety of professions including hunting and fishing guide, owner of a recording studio, singer/songwriter in several rock n' roll bands. He also worked in the aerospace industry on a variety of projects including the space shuttle and the Viking Project, the first Mars lander, of which the project manager was one of his idols, Carl Sagan. 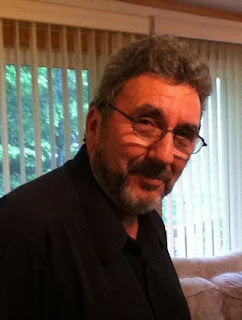 He went to grammar school in Durham, Maine with Stephen King, and in the early 1990s decided to get serious with his own desire to write fiction. His first short story, Bug Shot was published in 1995. His critically acclaimed supernatural thriller, The Lost Village was published in 2003. Since then he has published many books including his bestselling novella, The Haunting of Sam Cabot, his bestselling independent ebook, Servants of Darkness and his acclaimed thriller novel, Apocalypse Island. Soul Thief is his latest novel and is available now. 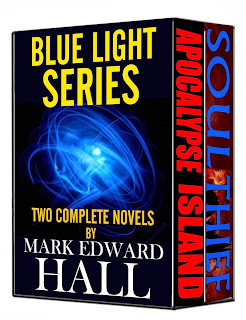 Soul Thief is the second novel in the Blue Light series. The first novel is Apocalypse Island. Although Soul Thief is a stand alone novel, it would be best if you read Apocalypse Island first. The Brotherhood of the Order is one of the oldest and most mysterious organizations on earth. Its primary mission is to protect one of the most carefully guarded secrets in human history, an object so enigmatic and powerful that in the wrong hands it could wreak havoc upon the earth. In the right hands it just might have the power to save humanity from its own destructive impulses. Doug McArthur, hit in the face by a young friend at the age of seven, is suddenly able to see a supernatural creature who calls itself Collector. Doug’s life is turned upside down when he realizes that it’s not just the creature he sees, but the atrocities it commits. Since marrying Annie his visions have been quiet and Doug is grateful. Now Annie is pregnant with their first child—a child that promises to be special—and their world is in the process of coming apart, beginning with the destruction of their home and forcing them to run for their lives, back into the world of Annie’s childhood, the De Roché dynasty, to a murdered mother and a cruel and enigmatic father. Doug, whose love for Annie borders on the obsessive, has a deep and abiding hate for her father. He is nearly insane with grief over their plight, but soon finds that De Roché is the least of his worries when he begins to hear the pleading voice of a lost child that he cannot possibly save. And then, in the midst of Annie’s mother’s funeral, Doug is given a strange artifact, along with a dire warning by a dying priest. He must leave Annie and his unborn child and begin a sojourn into the darkest regions of the human heart. In his attempt to save his wife and unborn child, Doug finds that there is much more at stake than the lives of two people, perhaps the very salvation of the human soul. 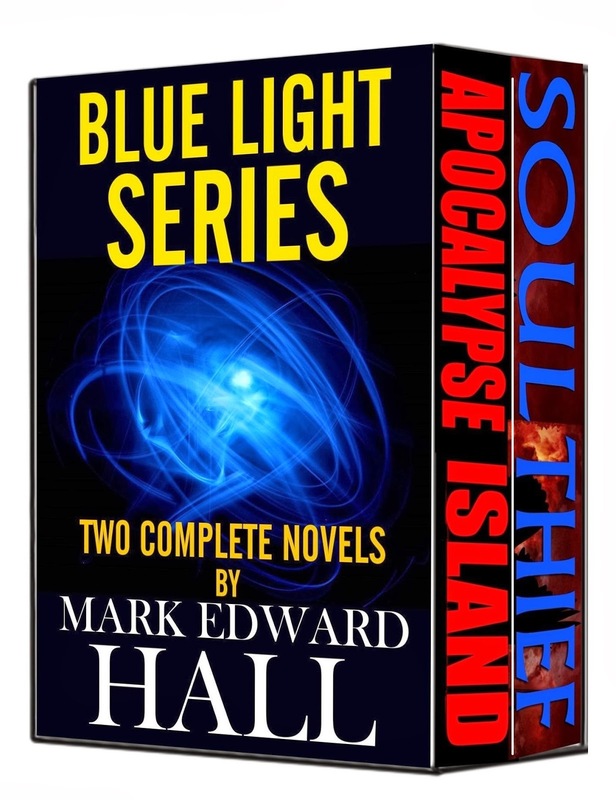 Soul Thief is the second novel in the Blue Light Series, a supernatural thriller that will keep you guessing until the stunning conclusion. Look for On the Night Wind, the third book in the Blue Light Series, scheduled for publication in 2014. 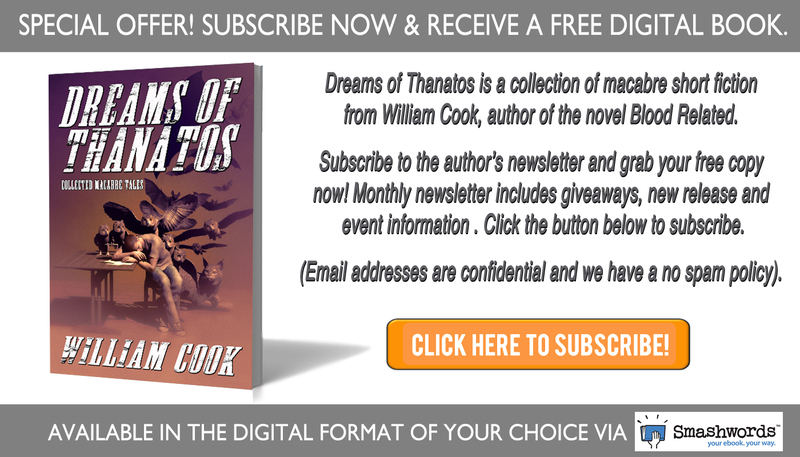 Check out the following links for other great titles and interesting information about the man himself.